A Constitution Bench of the Supreme Court today in [Lalita Kumari v. Govt. of U.P [W.P. (Crl) No; 68/2008] held that that the registration of First Information Report (FIR) is mandatory in Cognizable offences and action will be taken against the police officer for his failure to register a First Information Report (FIR) on the complaint of a cognizable offence. The matter was heard by the constitution bench consisting of Chief Justice P. Sathasivam, Justice B.S.Chauhan, Justice Ranjana Desai and Justice Bobde. The extremely important issue which arises for consideration was whether under S.154 of the Code of Criminal Procedure Code, a police officer is bound to register a First Information Report(FIR) when a cognizable offence is made out or he has some latitude of conducting some kind of preliminary enquiry before registering the FIR. It was in Lalita Kumari v. State of U.P a three Judge bench consisted of Justice Dalveer Bhandari, Justice T.S. Thakur, justice Dipak Misra referred the matter for the consideration of the larger Bench. Now the Supreme Court clarified that registration of FIR is mandatory except in some classes of case like matrimonial disputes etc. 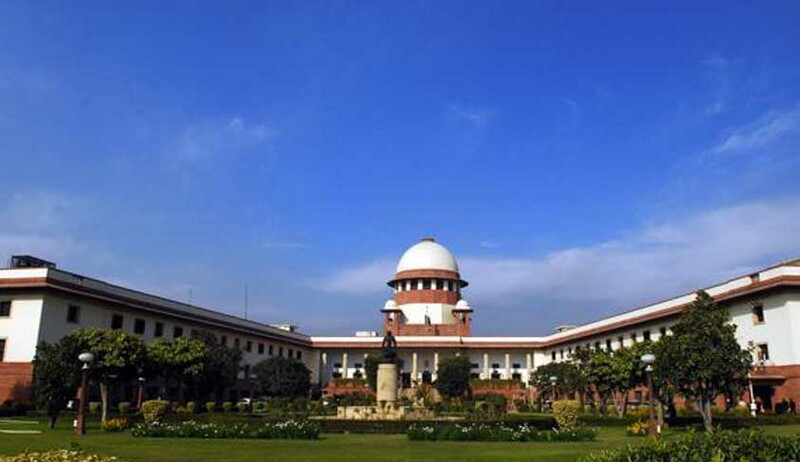 The Supreme Court in the case of Bhajan Lal and Others (1992 Suppl.1 SCC 335), Ramesh Kumari (2006) 2 SCC 677), Parkash Singh Badal and Another v. State of Punjab and Others (2007)(1) SCC 106) and Aleque Padamsee and Others (2007) 6 SCC 171) held that if a complaint alleging commission of cognizable offence is received in the Police Station, then the police has no option but to register an FIR under S.154 CrPC. On the other hand Supreme Court in the cases, namely, Rajinder Singh Katoch ((2007) 10 SCC 69), P. Sirajuddin etc. v. State of Madras etc., 1970 (1) SCC 595, Bhagwant Kishore Joshi (AIR 1964 SC 221), Sevi and Another etc. v. State of Tamil Nadu and Another, 1981 Supp SCC 43 : have taken contrary view and held that before registering the FIR under S.154 of CrPC, it is open to the SHO to hold a preliminary enquiry to ascertain whether there is a prima facie case of commission of cognizable offence or not. It was in this context the matter was referred to the larger Bench. In the reference order Justice Dalveer Bhandari said “It is quite evident from the ratio laid down in the aforementioned cases that different Benches of this Court have taken divergent views in different cases. In this case also after this Court's notice, the Union of India, the States and the Union Territories have also taken or expressed divergent views about the interpretation of S.154 CrPC. We have carefully analysed various judgments delivered by this Court in the last several decades. We clearly discern divergent judicial opinions of this Court on the main issue whether under Section 154 Cr.P.C., a police officer is bound to register an FIR when a cognizable offence is made out or he (police officer) has an option, discretion or latitude of conducting some kind of preliminary enquiry before registering the FIR. 110. Learned counsel appearing for the Union of India and different States have expressed totally divergent views even before this Court. This Court also carved out a special category in the case of medical doctors in the aforementioned cases of Santosh Kumar (2006 (6) SCC 1) and Dr. Suresh Gupta (2004 (6) SCC 422) where preliminary enquiry had been postulated before registering an FIR. 111. Some counsel also submitted that the CBI Manual also envisages some kind of preliminary enquiry before registering the FIR. The issue which has arisen for consideration in these cases is of great public importance. 112. In view of the divergent opinions in a large number of cases decided by this Court, it has become extremely important to have a clear enunciation of law and adjudication by a larger Bench of this Court for the benefit of all concerned - the courts, the investigating agencies and the citizens. Consequently, we request Hon'ble the Chief Justice to refer these matters to a Constitution Bench of at least five Judges of this Court for an authoritative judgment”. Pursuant to this order the Chief Justice of India constituted the Constitution Bench which ultimately resulted in today’s judgment.